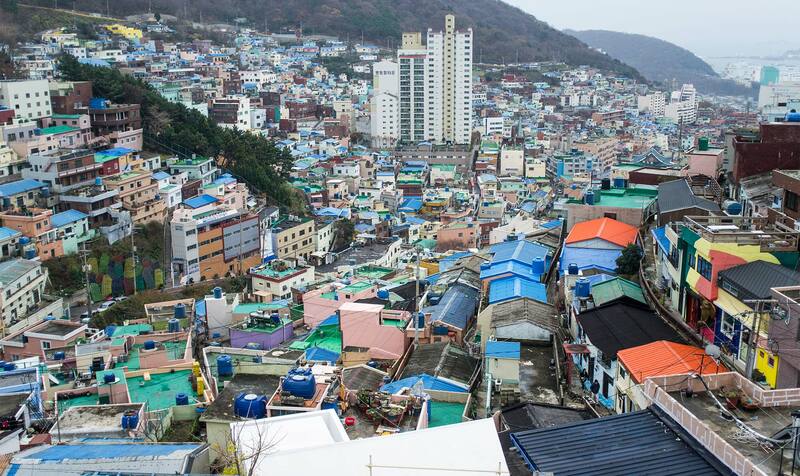 I finally crossed from the east side of the country, all the way to the south, ending up in South Korea’s second biggest city – Busan. 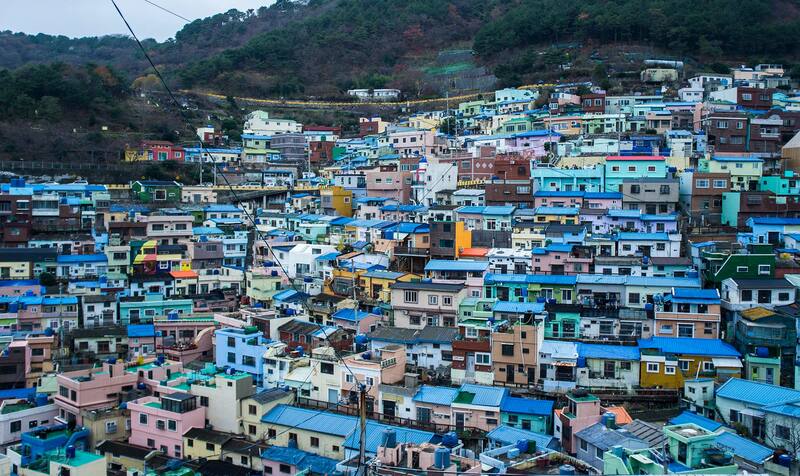 Known for the best beaches in South Korea, the country’s longest river, hot springs and its biggest port. 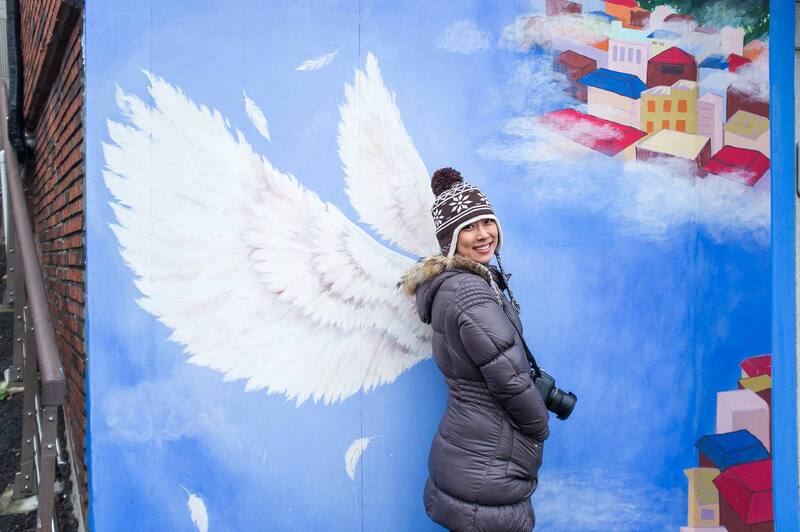 Busan is a good destination for those seeking a more laid back atmosphere than Seoul. For me it was just another typical town with a slight personality twist. That twist lies in the rolling mountains which peep out from amongst the city’s tall buildings and the long bridge connecting the two sides of the bay. Typical town with grey winter weather. 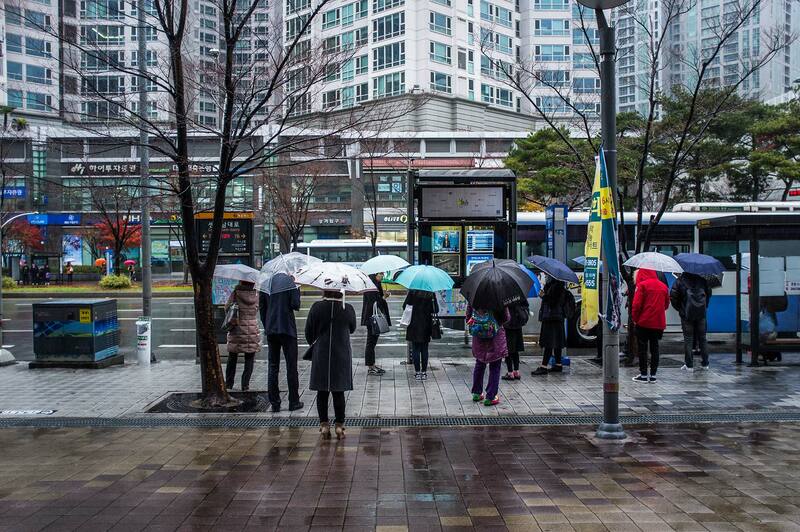 People waiting at the bus stop in centrum city, opposite the trump world centrum residential building complex. A typical town with its own everyday problems. 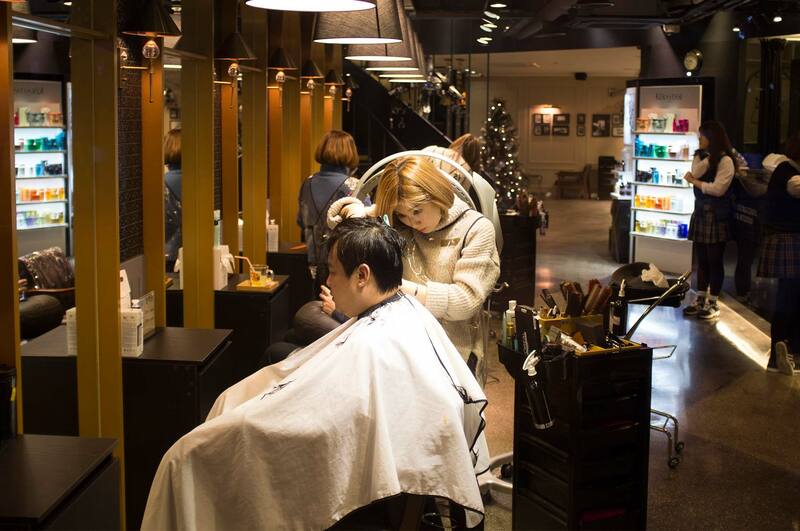 Besides the haircuts, men in South Korea also wear makeup. In fact men here love makeup, with up to 20% of the male Korean population reported to use makeup on a daily basis. Performing well at work here also means looking good. Failure is not an option. So wearing make up helps them to look more groomed and handsome, which in turn increases their chance of getting a job. While men are making sure they look perfectly groomed, women take action that is more than just skin deep. 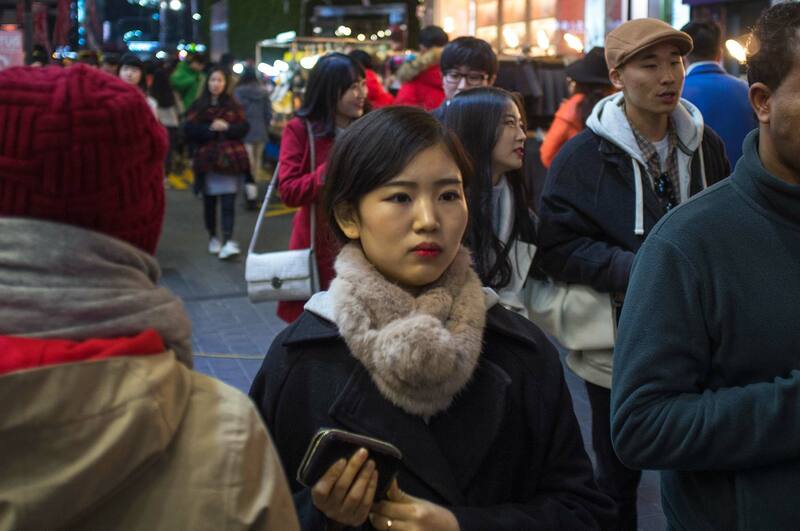 If you want to feel bad about your looks, spend some time in South Korea, where a very high number of women look like anime princesses. 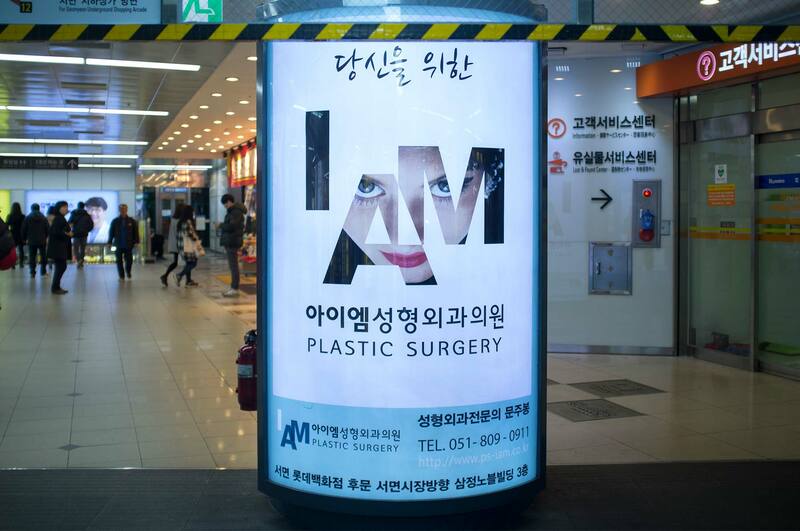 Plastic surgery poster. Metro station. Poster stands are placed in underground stations for the purpose of reminding women that their performance could be improved by going under the knife, with the line “Everyone has done it except you”. The most famous procedure is “double eyelid surgery” which opens the eye wider (to give a more western look) and “smaller face” surgery which decreases the size of the jaw by shaving the jawbone with a saw. 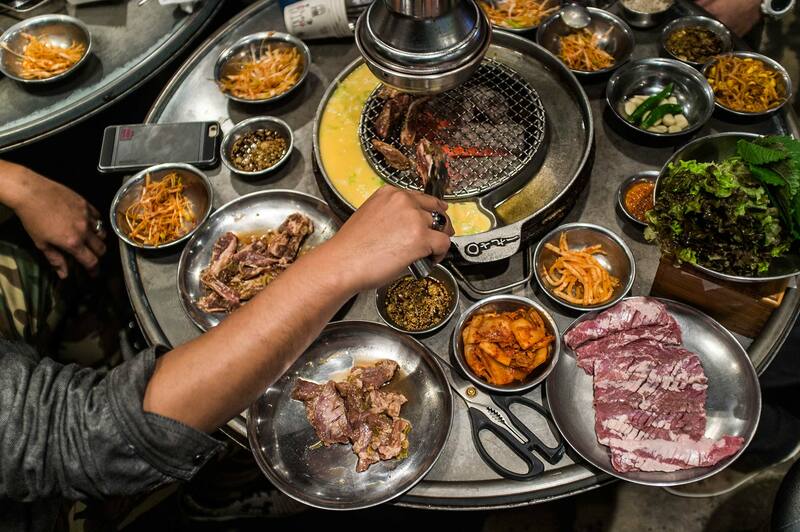 Yep, most South Korean girls undergo this procedure. 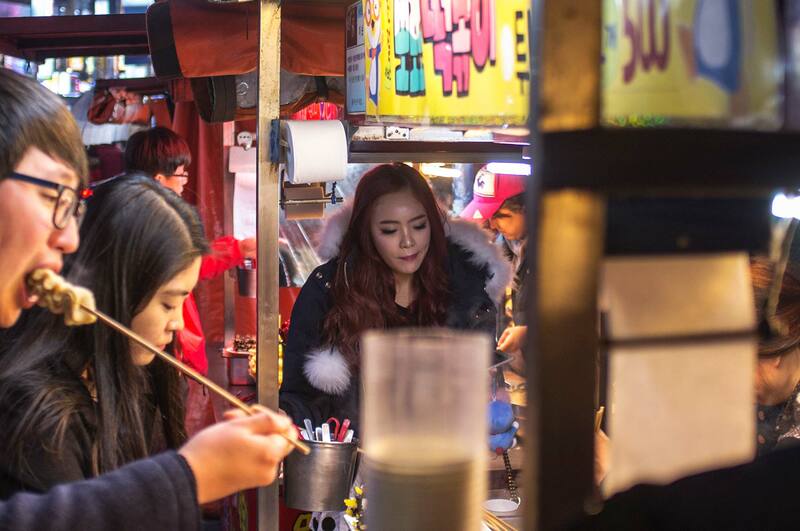 Barbie lookalike Korean girl at a food stand. 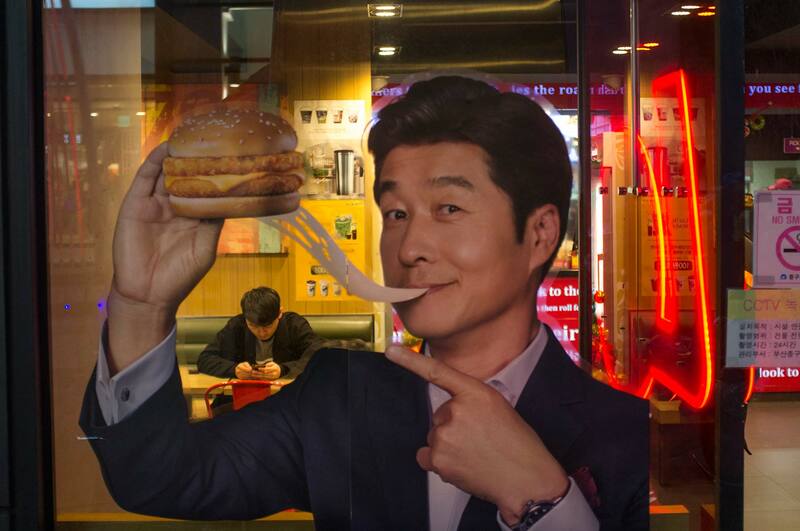 Male model, after plastic surgery, on a MacDonald’s ad. 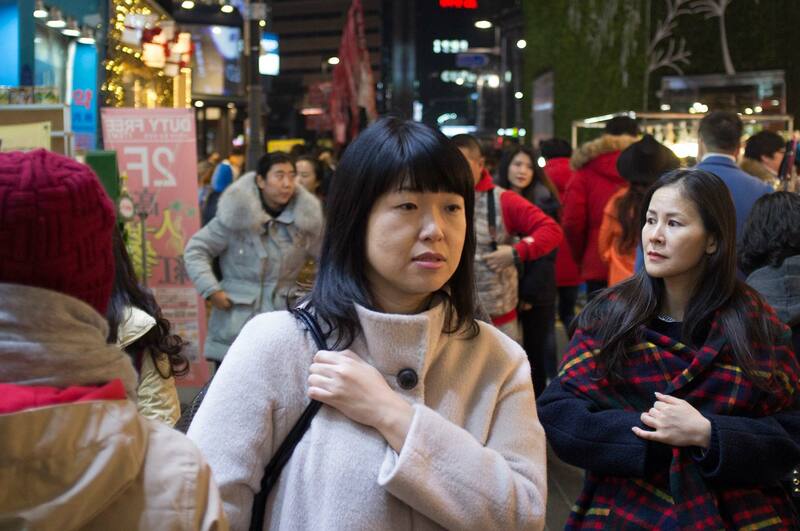 South Koreans with more defined chin features are easily noticeable, and this makes them stick out from the crowd. Korean woman with surgery done. 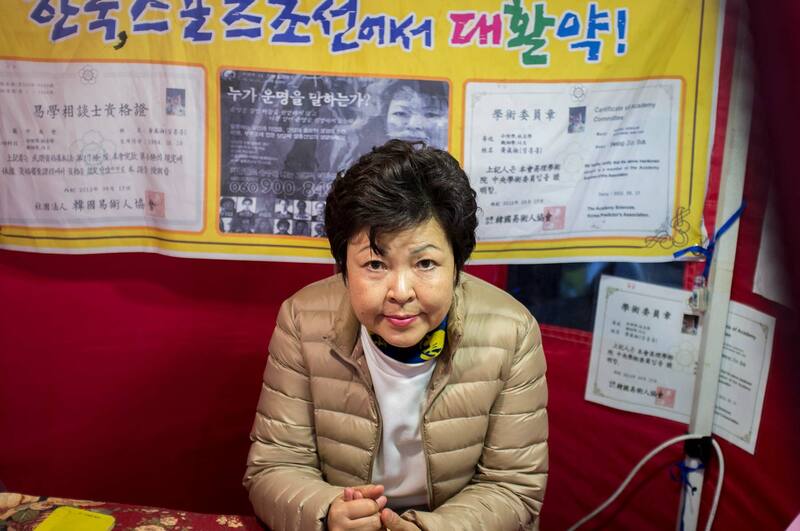 Palm and Tarot card reading is pretty popular in South Korea. Koreans are very much engaged with numerology; the year, month and hour you were born etc. They even believe in the significance of blood type, more than astrology, for example they believe their blood type gives them a set of characteristics that will help to lead them in the future. Palm reading is legal in South Korea so I wonder why this lady in her tent was pretty angry with me for taking her picture and even ran after me. 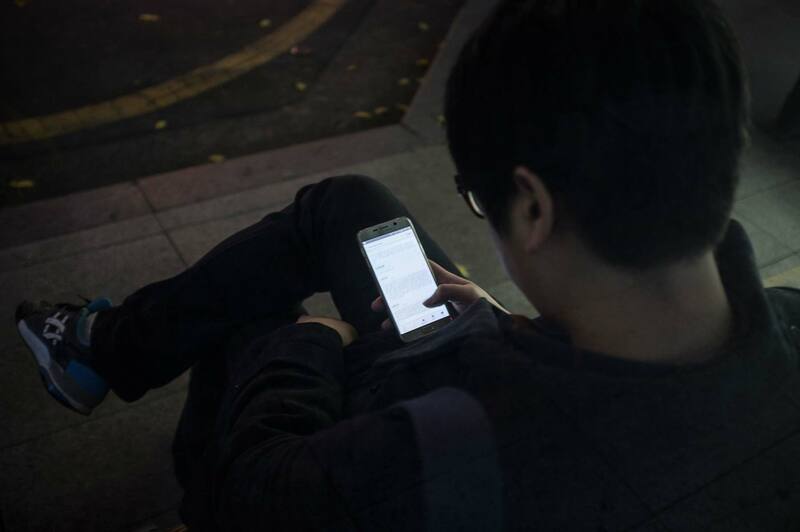 Another cruel reality of life in South Korean society is that the population of the country with the fastest internet connection also suffers from internet addiction. In 2011, South Korea passed a law called the Shutdown Law that bans anyone younger than 16 from online gaming sites. A law which is largely ignored by the youth, of course. Psychologists say that spending around 80 hours per week gaming is a way of escaping from the fierce competition of daily life here. By the way, gaming in South Korea is an official profession for some. 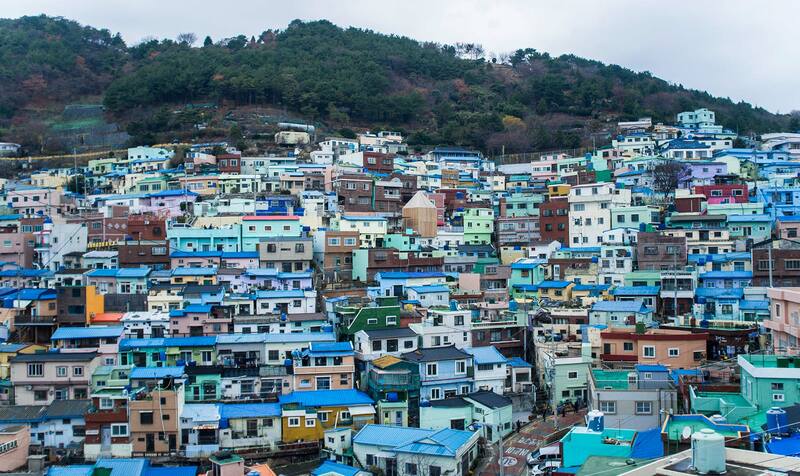 Just outside of central Busan lies a curious lego-like village, where the houses are painted in a rainbow of pastel colours. 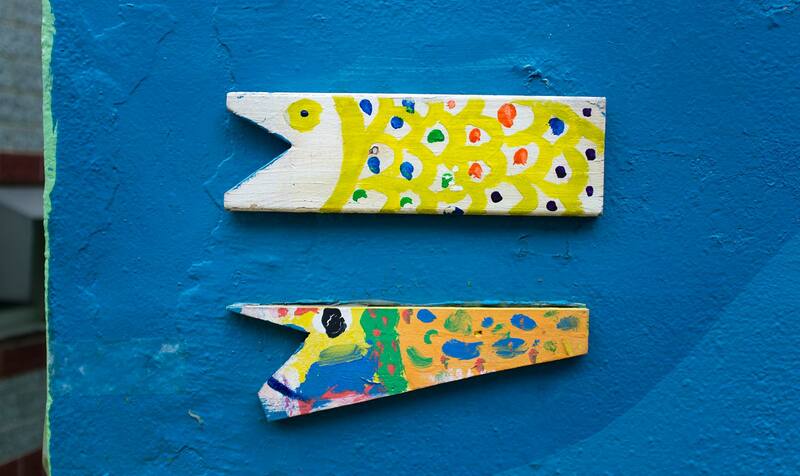 Looking just like the slums of Rio, these bright and playful houses had darker, less colourful beginnings. 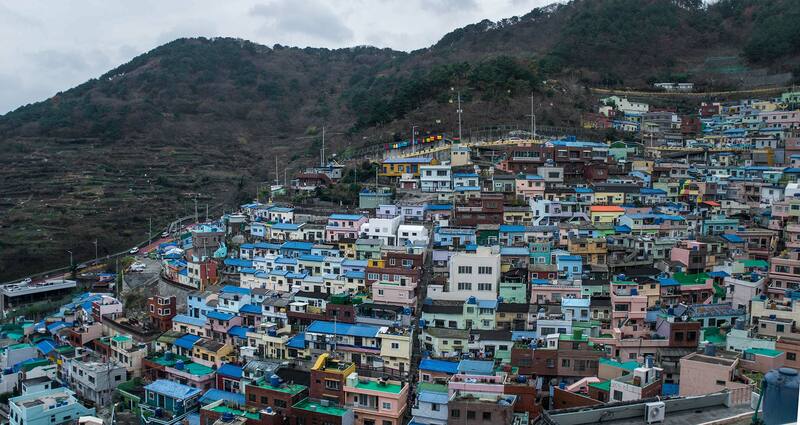 During the Korean War these houses were erected to serve as living spaces for refugees. 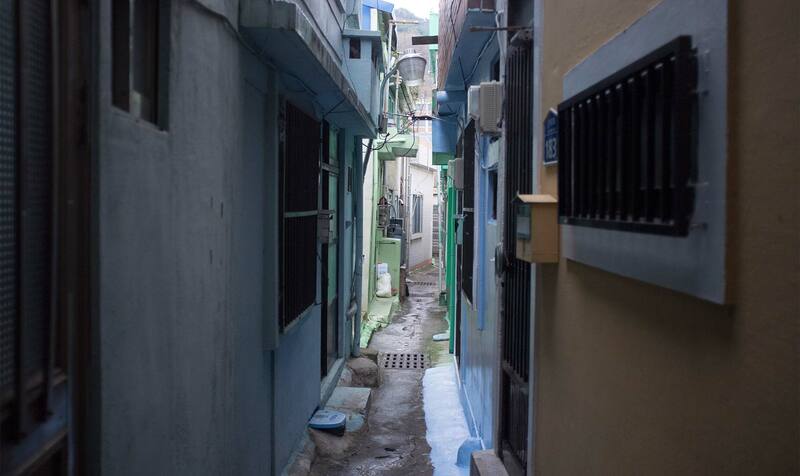 Many homes in the village have since been abandoned, prompting local artists to transform these empty spaces into galleries and charming cafes along the narrow streets. Street decoration and narrow street. The village grew and today residents hate the fact that so many people traipse through their neighbourhood. Many of them have moved away now, abandoning their houses as they are unable to sell them. More than 300 local houses are estimated to be empty. Tiered houses slope down the hill. 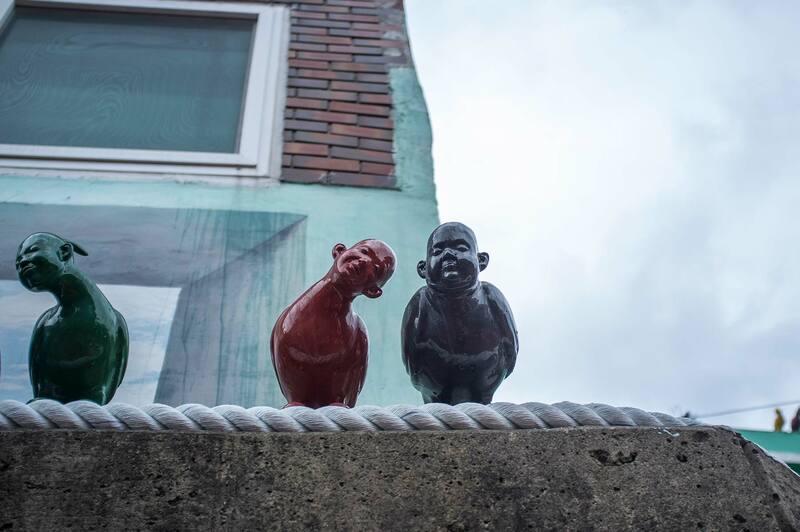 …the birds with human heads are watching them.